Get A Free Demo Now !! Goods and Services Tax (GST) is a unified taxation system to be implemented by the Government of India from the 1st July 2017. The GST is intended to replace all the taxes levied by the central and state governments in various forms ie. excise, sales tax, VAT, entertainment tax, luxury tax etc. The bill for the implementation of the GST law has been passed by the parliament of the nation by '142' constitution amendment act 2017, followed by the passage of Constitution 122nd Amendment Bill. The GST is governed and is being monitored by the GST Council and its Chairman is Union Finance Minister of India - Arun Jaitley. Under GST, all the goods and services will be taxed at the rates of 0%, 5%, 12%, 18%, 28%. Apart from these, there is a special rate of 0.25% on rough precious and semi-precious stones and 3% on gold, also an additional cess on sin goods like cigarettes has been incorporated. 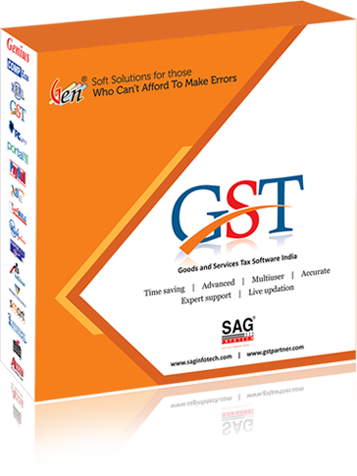 Gen GST Software simplifies your GST filing & invoicing. Click here for a free demo. A taxpayer can apply for input credit of tax already paid by him on a supply. The bill is required for transportation of goods of value over Rs. 50,000. GST impacts on IT services, IT freelancers, companies, and tax applicability. The Goods and Service Tax (GST) is now a reality for the people and businesses in India. Ever since the launch of GST in the country, people have been asking several questions to get a better idea of how the new tax system actually works. Here, we try to answer the most common FAQs on GST. Goods and Service Tax (GST) is a new destination-based tax that is levied on the sale and purchase of goods and services. It is a consumption based tax, meaning the end consumer is responsible for paying the actual tax. Although the tax will be levied at each stage of the supply chain, the consumers will get input tax credit (ITC) for the tax paid by them at earlier stages, which they can reuse for the payment of the final tax. As a result, a consumer will be paying only the tax amount applied to the final transaction. GST will effectively replace all the existing and previous taxes including VAT, Service Tax, Excise Duty and other taxes in India, thus realizing the concept of “One tax, one nation”. Q2- What does “destination based tax on consumption” actually mean? The tax will be received only by the relevant tax authority which has jurisdiction over the place of consumption (or the place of final supply). Q3- Which all taxes would be replaced by GST? Q4-Which items (commodities) are not covered under the GST? How will they be taxed now? Alcohol for human consumption, high-speed diesel, Petroleum Products (petroleum crude), motor spirit (petrol), natural gas and aviation turbine fuel & Electricity will not be taxed as per GST rules. These commodities will continue to be taxed according to the previous tax (VAT &amp; Central Excise) system. Q5-What is the tax structure or different types of tax under GST? The GST system implemented in India is a dual GST with both the Centre and State getting a part of the tax levied on a common base. The GST charged by the Centre on intrastate (within a state) supply of goods & services is called CGST (Central GST) while the tax levied by the States on the same transaction is called SGST (State GST). The tax levied by the Centre on all interstate (between two states) supplies of goods and services is called Integrated GST (IGST). Q6- What is the need of Dual GST? According to the Constitution of India, both the Centre and the States have the right to levy and collect taxes through appropriate procedure. A dual GST system is in place to protect that right. Q7. 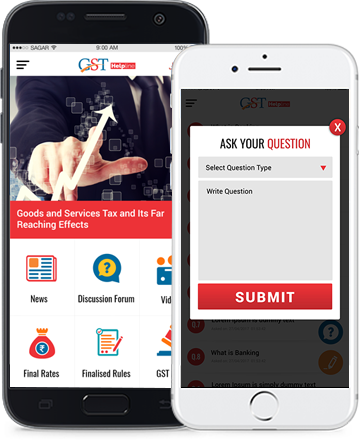 What change was made in the Constitution of India in the context of GST? In the previous system, the fiscal powers were separately assigned between the Centre and the State which were responsible for levying different taxes on different types of services and goods. Under GST, though, the fiscal powers of these two entities may often overlap as they are required to charge the same GST. This is why an amendment (one hundred and first amendment) was made in the Constitution of India under the Constitution Act, 2016 to empower both the Centre and the States to levy and collect the GST. Q8- What are the benefits of GST for the Country and the common people? GST will replace all the indirect taxes being levied on the supply of goods and services in India, thus creating the way for a common national market. It removes the cascading tax system (tax on tax) completely. It will also reduce the overall tax being paid on many goods. It will also improve the value of our products in the international markets. The governments are also likely to see growth in their revenue due to the widening of the tax network. Also, the unified tax system will be easier to follow and administer. It will be easier to receive the input tax credit under GST. It increases the efficiency of logistics in India. There is the provision of GST composition scheme to ease the process for small businesses. Secure and easier online tax filing, credit storage, and management. Q9 - What is GST Tax Rate? Why are their multiple tax rates? GST rates for different products and services are decided jointly by the Centre and the States. The applicable GST rates for various commodities can be found on the official GST portal. Although GST is a one tax system, the GST Council has finalized five different tax slabs with different tax rates on each slab items. GST rate of 5% on good like oil, spices, coffee, tea, etc. 12% GST on computers, cycles, foods, and other similar items. 28% tax on luxury items and services like tobacco products, SUVs, etc. Zero tax (GST-exempted) for basic need products like milk and other food items. Q10-Who is liable to pay tax under GST? Any taxable person with an aggregate turnover of 20 lakhs or more is liable to pay GST. IGST is to be paid on all inter-state supplies while CGST/ SGST is payable on the intra-state supplies of goods and services. Disclaimer: The GSTHelplineIndia.com is strictly an information portal. The information provided here is best to our knowledge and is gathered from multiple reliable sources across the internet. We are not responsible for any harm that may occur beca of any information or news article present on this website. Users are, therefore, requested to validate the information before taking any specific action on it. Copyright © 2016-2019. GST Helpline Blog. All Rights Reserved.